It’s the first Sunday of Advent and I hope we are going to light the candles again this year. There is something cool about doing something that has its origins in the Middle Ages. I recently re-read Desiring the Kingdom by Calvin philosophy professor, James K. A. Smith. In it, he says that rituals are very important because they shape who we are. For some reason, repetition affects us very deeply–on the level of our identity. 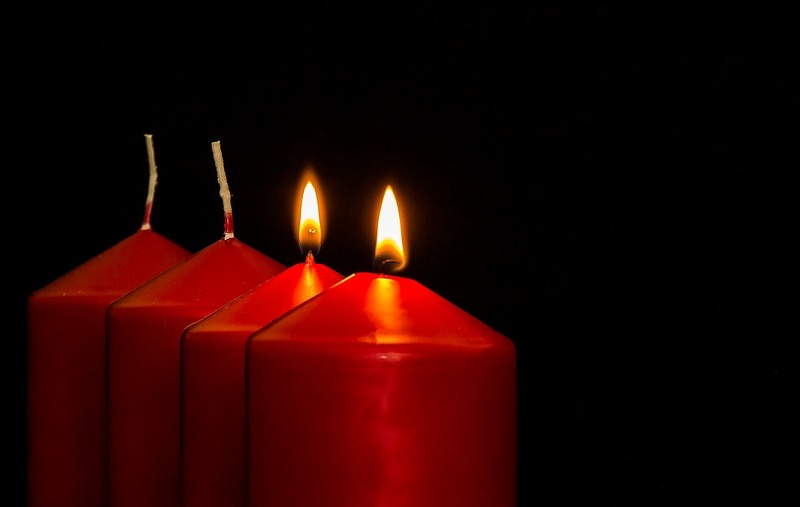 Advent is the beginning of the church calendar. It is a time of expectation. It commemorates the hope that God’s people had for the Messiah, but it also reminds us that we, too, are waiting for Jesus. The Advent season reminds us that we are people of expectant waiting–that this world is not all that there is and it’s not as good as it gets. There’s more, much more, in store for us. Christmas Day, when we celebrate the Incarnation, is our next stop on the church calendar. It is an incredible thing that the material world was visited by the transcendent God. God has bridged the huge chasm that separates us from himself. Lent is a time for reflection, repentance, and prayer as a way of preparing our hearts for Easter. This is often accomplished by “giving something up.” The idea here is that some form of deprivation helps us to attend more deeply to the sin in our lives and our need for salvation. A keen awareness of these can make participation in a Good Friday and Easter Sunday services very profound. These are just the highlights. The traditional church calendar celebrates the Epiphany, Ash Wednesday, the Ascension, Pentecost, the Assumption, and more. The annual remembrance of these events is a ritual in itself, and these have shaped the people of God for centuries. How might the rituals surrounding these important events in the church calendar have any formative influence on our identities? According to Smith, rituals aren’t just something we do, they do something to us. When we celebrated these annual events, we understand ourselves as sinners in need of salvation; we know ourselves to wait expectantly for something better, and that this something better is the person of Jesus Christ; and we know that we are beloved. Our “knowledge” of these things is not on a cognitive level, says Smith. It is a knowledge that comes to reside in our bones. It gets there, in the bones, through our rituals and practices. Attending to the events of the Church year can be one of these rituals and practices. Many Christians don’t really follow the liturgical calendar and are therefore not being shaped by it, but this does not mean they are not being shaped by rituals. There is another calendar that dominates our culture and it, too, is filled with repeated activities–it is the commercial calendar. The commercial calendar does not begin with waiting, but receiving, immediately. Starting on November 26th, Christmas is the most important shopping season of the commercial calendar. Where the center of the church calendar is God made flesh, the high priest of the commercial Christmas is Santa Claus who models a generosity that, for those of us without a workshop of elves, must be preceded by purchases. Not only do we buy gifts, but we also buy wrapping paper and bows, ornaments to dress our trees and homes, and enough meat to feed a non-Western family for a year. Out national economy is dependent on these weeks (months) of spending. And the day after we celebrate all our purchases, we go out (in Canada at least) to take advantage of the Boxing Day sales and buy more things. The next significant event on the commercial calendar is Valentine’s Day. We celebrate romantic love through the purchase of a card, roses, chocolates, and dinner with Champaign. At Easter, too, we have a list of ritual purchases–if not Easter dresses, then certainly chocolate bunnies and eggs, and, my personal favourites, Peeps. The stores have sales to encourage our consumption on or around each of our national birthday holidays. And in August we engage in the annual ritual of Back-to-School shopping–not just for paper and pencils, but for a new wardrobe as well. As soon as school starts the Thanksgiving and Halloween related products and sales are advertised, and then we arrive at American Thanksgiving. This is the holiday where Americans give thanks by fighting over “door crasher” televisions. This holiday is important to Canadians as well because merchants north of the border must offer Black Thursday Sales to compete with the American rock bottom prices that kick off the commercial Christmas season. Rituals shape who we are. To which calendar do you most closely adhere? The church calendar is down to about two events, and even then most Christians we are engaged in commercial rituals at the same time. What is a human being? A beloved creature, helpless in sin, but saved by a loving heavenly father? Or a consumer that finds comfort an meaning in consumption? Even if we think (or even believe) it is the former, before long we will know deep in our bones that we are, in fact, the latter. This is the power of ritual.